In a major step forward for CRNAs, the Centers for Medicare & Medicaid Services (CMS) has approved significant changes to the Medicare Program Integrity manual that help modernize the Medicare Administrative Contractor (MAC) Local Coverage Determination (LCD) process by making it less “physician-centric” and, for the first time, allowing advance practice registered nurses and other non-physician professionals to serve on contractor advisory committees. View the major revisions in Chapter 13 of the current and previous versions of the Medicare Program Integrity manual. Medicare and Medicaid-participating facilities are surveyed either by state survey agencies for compliance with Medicare standards or private Accrediting Organizations (AOs) whose accreditation standards meet or exceed Medicare requirements. In response to demands for greater transparency regarding how well AOs perform in evaluating Medicare compliance, the Centers for Medicare & Medicaid Services (CMS) has begun posting AO performance data on the CMS.Gov website at https://qcor.cms.gov/hosp_cop/HospitalCOPs.html. It also will pilot a program to revamp CMS review of AO surveys. Currently, AOs with CMS Medicare “deeming authority” include, but are not limited to, The Joint Commission, DNV GL Healthcare, Healthcare Facilities Accreditation Program (HFAP), Accreditation Association for Ambulatory Health Care (AAAHC), American Association for Accreditation of Ambulatory Surgery Facilities (AAAASF), Center for Improvement in Healthcare Quality, and the Institute for Medical Quality. The most recent deficiencies following complaint surveys at facilities accredited by AOs. A list of providers determined by CMS to be out of compliance, including the provider’s AO. Overall performance data for each AO. CMS’s pilot program will evaluate the AO’s ability to measure compliance with CMS requirements through direct observation by state surveyors (who act on CMS’ behalf) during the AO’s survey of an accredited facility. State surveyors will suggest improvements and address concerns with AOs immediately. The Wall Street Journal reports that the program will target Texas, Georgia, and Ohio. This pilot program contrasts with how CMS currently measures AO effectiveness, which involves state survey agencies conducting a small sample of “validation” surveys of a facility within 60 days of the AO’s survey. CMS then compares the state survey to the AO survey, which may uncover findings that the AO missed in the earlier survey. CMS also will identify and monitor accredited facilities that are found out of compliance with Medicare requirements through state complaint investigations. These results also will be used to evaluate the ability of AOs to determine compliance with CMS standards. As a reminder, the deadline to submit targeted review requests was extended to October 15, 2018, at 8:00 p.m. (EDT) to allow additional time for anesthesia providers to access and review their performance feedback reports for CY2017. The 2019 Merit-based Incentive Payment System (MIPS) Payment Adjustment Targeted Review Fact Sheet was updated to reflect the change. CMS investigated some issues raised from targeted review requests for CY2017 MIPS Performance Feedback Reports. Several errors in scoring logic were found, related to the application of the 2017 Advancing Care Information; hardship exceptions under Extreme and Uncontrollable Circumstances; the awarding of Improvement Activity credit for successfully participating in the Improvement Activities Reduction Study, and adding the All-Cause Readmission measure to the MIPS final score. As a result, the final scores for affected providers were corrected. This also resulted in slight changes in their payment adjustments. Anesthesia providers are encouraged to access and review their Performance Feedback Reports. A targeted review can be requested via the QPP Website. CMS recently published a toolkit for individual providers and groups who elect to form a virtual group for the CY2019 Merit-based Incentive Payment System (MIPS) Performance Year. A virtual group is a combination of two or more tax identification numbers (TIN) assigned to one or more individual providers who are MIPS eligible, or one or more groups consisting of 10 or less providers (including at least one MIPS-eligible clinician) that elect to form a virtual group for a performance reporting year. The election period begins on October 1, 2018 and ends December 31, 2018. The toolkit includes templates for virtual group agreement, election notification to CMS, and fact sheets about the election process and participation. Make your voice heard! Join in the Virtual March on the States to address the opioid crisis. Get inspired! Read and share #IHeartHIT Stories. State Proclamations: At least six states and localities have proclaimed this week as National Health IT Week! Plus a lot more. Visit the National Health IT Week site. The CRNA Fact Sheet, widely used for lobbying, public relations, testimony, and other purposes by the AANA, state associations, and individual members, has been updated with the latest facts and figures on nurse anesthetists and the AANA. This important document can be found on the AANA website. Key changes to the document include the estimated number of anesthetics provided by CRNAs in the United States (now topping 45 million), the total number of AANA members (nearly 53,000), and updated numbers related to nurse anesthesia educational programs, clinical sites, and educational requirements to become a CRNA. State associations are encouraged to link to the current version of the fact sheet on their state websites. If you have any questions about CRNA Fact Sheet, please direct them to Christopher Bettin, MA, Senior Director, Strategic Communications: cbettin@aana.com. Ensure your students are properly educated on malpractice insurance before entering the profession with our online Program Director Toolkit containing downloadable educational resources, the opportunity to request a webinar or an in-person presentation. Learn more. You are invited to submit an abstract for consideration to present at the 2019 AANA Annual Congress on August 9-13, 2019, at the Hyatt Regency Chicago, Chicago, Ill. Present your topic to thousands of CRNAs and SRNAs from across the nation, representing various practice settings and levels of leadership. The new Abstract ScoreCard platform makes it easier than ever to submit your paper. AANA will accept up to three submissions per presenter with a maximum of two presenters per abstract submitted. The submission process opened on October 1, 2018, and the deadline for submissions is November 15, 2018, at 11:59 p.m. CT. Please review the submission guidelines before submitting your abstracts. Still need to renew your AANA membership? October 31 is the last day to renew before a $25 administrative fee is incurred. Our nearly 53,000 members speak with one voice, to protect nurse anesthesia practice rights, influence healthcare legislation, and advance patient safety. Can we count on you to be a part of the professional association that puts CRNAs first? Renew today! October is National Fire Prevention Month, and a good time to review operating room fire prevention information and procedures. Be sure to check out the AANA Professional Practice Surgical Fires Resource page. The authors conducted a review of 10 clinical trials to determine the mean effective dose of hyperbaric bupivacaine. Armed with the information presented in this review, clinicians will be empowered to make high quality decisions by optimizing dose and minimizing complications such as hypotension. This is an extremely high quality review that will greatly advance anesthesia safety and is essential reading for those who use the drug in clinical practice. An assessment of a handoff instrument that the authors developed in response to issues and drawbacks to an existing tool is provided. Handoffs are associated with significant communication dysfunction, and whether you use a formal handoff tool of some kind or not, this make interesting reading to improve anesthesia patient safety. The authors explore and report on barriers, facilitators, and motivations for those CRNAs who get involved in short-term global medical missions. The role of the CRNA in advancing global health is well appreciated. This systematic examination of the major issues involving CRNAs who participate in global missions will be of interest to those who have, those who are considering, or those who wonder what’s involved in these altruistic professional services. A case where the use of ultrasound to assess gastric contents in an emergent abdominal aortic aneurysm is reported. The potential value and applications of using this approach is discussed in the context of the care given in this case. Ultrasound has considerable application to providers beyond its role in regional anesthesia as demonstrated by this interesting report and literature review. This fascinating bench study advances our understanding and perhaps suggests a new line of diagnostic inquiry involving malignant hyperthermia (MH). Using immortalized human B lymphocytes derived from a known MH-sensitive population, the authors observed increased sensitivity to the catecholamine norepinephrine as evidenced by an increase in myoplasmic Ca2+ accumulation compared with normal controls. They suggest that norepinephrine stimulation correlates with increased intracellular Ca2+ concentration changes in the MH-susceptible B-cell lines and may have potential implications for diagnosis of those who may experience MH when exposed to anesthetic and environmental triggers. In this most unique study performed in rats, the researchers used a fear-conditioning model to study the effects of a ketamine infusion on memory formation and suggest that there is still a lot unknown about the CNS/psychological effects of drugs we use in trauma care. This study is unique in many ways and is demonstrative of using bench research as a platform for studying, and explaining, observations that are made in the clinical setting. The authors, using closed claims analysis, reveal patterns of care that led to professional malpractice claims made against CRNAs. There is much to be learned in this report about the potential issues that may occur during handovers, and how to prevent situations that may degrade care, and possibly lead to significant adverse events. In this sample of 19 cases, the authors identified general themes, antecedents, and consequences that occurred in the perioperative period that have vital implications for all of us. The care provided to a 36-week gestational patient with a partially palliated double-outlet right ventricle and a Glenn shunt, who presented with severe dyspnea and worsening cyanosis, is reported. This is an extraordinary clinical presentation that is described in detail by the authors with suggested management circumstances. While most of us will never be put in this particular clinical circumstance, the reading of this paper will pay dividends that may extend into other realms of practice for care that was provided. The author updates the reader on new advances in the domain of obstructive sleep apnea. Our understanding of the pathophysiological features of this disorder is in evolution, with innovative approaches to its management, such as hypoglossal nerve stimulation, coming to clinical setting. This AANA Journal Course offers valuable clinical information as well as the opportunity to earn continuing education credit. Accessible online, the authors offer a guest editorial on the opioid crisis with particular focus on managing the patient with a history of opioid abuse who is in the recovery phase of their disorder management. This is an increasingly common clinical encounter and this editorial makes invaluable reading for developing an approach to managing this challenging patient population. “Perioperative Considerations and Positioning for Neurosurgical Procedures: A Clinical Guide” is reviewed for the reader in a critical analysis of this recently released text. Larry Hornsby, BSN, CRNA, and Juan Quintana, DNP, MHS, CRNA, lead participants through an eight-week online seminar that will give you the skills and motivation to grab the brass ring. From developing request for proposals (RFPs) to increasing your negotiation skills, you’ll get a personalized experience that you can’t get anywhere else. Fall and Winter courses are filling up fast for this intensive seminar. Register today! The Practice Leadership Assembly is designed to provide current and aspiring entrepreneurs and practice and facility leaders with the tools to be successful in a rapidly changing healthcare environment. Earn up to 17.25 Class A CE Credits and network with your peers. Expand your knowledge of spinal techniques, neuraxial blockade, pharmacology, epidural techniques and more. Learn best practices from expert faculty in this two-day workshop, including didactic and hands on instruction. Learn and practice techniques on human cadavers and simulators at the second installment of the Jack Neary workshop. This workshop is for CRNAs with practical experience in interventional pain management. Prerequisites apply. Formerly known as the Assembly of School Faculty (ASF), the Assembly of Didactic and Clinical Educators (ADCE) is the only forum for nurse anesthesia educators to discuss current educational requirements and how they will define the future of the profession. Your year-end mortgage savings are here from Quicken Loans! Now’s your chance to take advantage of $500 cash back after closing, plus a $750 closing cost credit* when you purchase or refinance a home. With many different mortgage options available, our dedicated team of Home Loan Experts are here to help find the best solution for you! Unsure of what happens during the mortgage process? Check out our upcoming webinars! We’re offering you free, educational webinars with topics such as: home-buying, refinancing, improving credit, and the general mortgage process. Ready to get started? 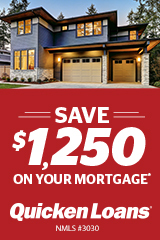 Visit VIP.QuickenLoans.com/AANA or call (855) 245-5911. Stable group with 9 doctors and 12 CRNAs seeking 1 to 2 CRNAs for a full-time salaried position; guaranteed 40 hours per week. Attractive schedule, minimal weekends and shared holidays. Providing Anesthesia for Level 1 Pediatric Trauma Center, Level III NICU, outpatient surgeries, Radiology and GI Services. No call, competitive salary and benefits. Learn more. Check out the new AANA Career Center, CRNA Careers! Whether you’re a seasoned CRNA or just getting started, the new Career Center can connect you to the best opportunities. Plus, there are robust search tools to help narrow your search, as well as tips for resume writing and salary negotiating. Add your resume and know that you can remain anonymous if you choose. Take advantage today! Anesthesia groups will need to review and modify their policies and procedures to prepare for The Joint Commission's updated pain standards, which were released in June and take effect in January. The guidance applies to all ambulatory care facilities, critical access hospitals, and office-based surgery organizations accredited by The Joint Commission. It is intended to improve pain assessment, treatment, education, and monitoring practices. Among other provisions, the new and revised requirements include directing facilities to designate pain management leaders, monitor opioid prescribing activity, and allow access to prescription drug monitoring program databases. From "The Joint Commission's New Pain Standards Take Effect in January: 5 Things Anesthesia Groups Should Know"
Physiological changes during pregnancy can create a range of gastrointestinal disorders in expecting women; but endoscopy can be problematic, due in part to the possibility of oversedation. This scenario can trigger maternal hypoxia, which can then lead to hypoxia in the fetus, which may additionally be exposed to dangerous medications or potentially harmful radiation. A recent review, however, suggests that minimal use of sedatives during endoscopy can minimize the risk. According to Dartmouth College's Joseph Anderson, MD, who presented the review at the American College of Gastroenterology (ACOG) Annual Scientific Meeting, common sedatives such as propofol, meperidine, and fentanyl are safe or have a low risk profile in this setting. Benzodiazepines, on the other hand, are linked to cleft palate and other poor outcomes. ACOG also recommends keeping exposures as short as possible in duration and minimizing induction. "If you're going to be doing procedures [in pregnant patients], try to make them as short and quick as possible and give as little sedation as you can," Anderson summarized, adding that elective surgery should be put off until after childbirth. From "Appropriate Sedation Minimizes Endoscopy Risks During Pregnancy"
As the global population grays, demand for surgical services—and accompanying anesthesia—is expected to increase, Australian researchers report. With more older patients under their care, their review of the literature suggests, anesthesia providers will have to be keyed in to the complex relationship between aging, anesthesia, and frailty. Increased vulnerability and lower resistance to stressors affects more than a quarter of patients aged 85 and older, making them more likely to develop geriatric syndromes like malnutrition and/or suffer complications such as postoperative cognitive dysfunction and delirium. To reduce surgical risks ahead of elective surgery, older patients can strive to reverse their frailty through prehabilitation consisting of exercise training in conjunction with nutritional and psychological support. Additionally, choosing regional anesthesia over general anesthesia may have some impact—although this remains greatly debated. In theory, avoiding general anesthesia also means avoiding a reduction in airway reflexes as well as pulmonary complications that tend to beset frail patients. Regional anesthesia also lowers the need for systemic opiates—which, along with neuromuscular blocking agents and sedatives—also elevate the risk of airway reduction. With all of that taken into consideration, however, anesthetic technique and choice of analgesia should be tailored to the individual patient's particular challenges following frailty assessment, which the review authors believe should be adopted as part of routine practice. From "Frailty and Anesthesia – Risks During and Post-Surgery"
Local and Regional Anesthesia (10/05/18) Vol. 2018, No. 11, P. 61 Lin, Hui-Shan; McBride, Rebecca L.; Hubbard, Ruth E.
Anesthesia experts in Brazil explored methadone as a postoperative pain relief strategy for obese patients. The team from Universidade de São Paulo worked with a sample population of patients, each with a body mass index of at least 35 kg/m2. Prior to bariatric surgery, trial participants were randomized to fentanyl or methadone for anesthesia induction and maintenance. The main outcome was morphine demand during the first 24 hours postoperatively, delivered through a patient-controlled analgesia device. Volume required was markedly higher for the fentanyl group than for the methadone group at two hours, two to six hours, six to 24 hours, and 24 to 48 hours. The fentanyl patients also reported higher pain scores up until 24 hours after surgery, more nausea and vomiting, lower satisfaction, and more evoked pain at surgical scar three months after the procedure. In the setting of morbid obesity, the researchers conclude that intraoperative methadone can safely curtail postoperative opioid use and improve postoperative pain scores compared with fentanyl. From "Intraoperative Use of Methadone Improves Control of Postoperative Pain in Morbidly Obese Patients"
Journal of Pain Research (10/18) Vol. 2018, No. 11, P. 2123 Machado, Felipe Chiodini; Vieira, Joaquim Edson; Ashmawi, Hazem Adel; et al. Researchers designed a study to investigate the use of celecoxib, compared with ketorolac, as part of a multimodal pain regimen following robotic hysterectomy. Recruiters enlisted 138 women and randomly allocated 70 to intravenous ketorolac and 68 to oral celecoxib for procedures occurring between September 2013 and September 2017. Ketorolac was administered intraoperatively and every six hours postoperatively until discharge, while celecoxib was given preoperatively and then twice daily for one week after discharge. All participants, meanwhile, received multimodal care including acetaminophen, gabapentin, and opioids as needed. Pain scores, hospitalization stays, perioperative complications, inpatient narcotic or antiemetic use, and time to regular activity were all similar regardless of which study drug was received, according to the results report in Gynecology Oncology. However, postoperative opioids were needed less with celecoxib and discontinued earlier. The study was limited in part, though, by its reliance on patient-reported opioid consumption as culled from questionnaires completed two weeks following surgery. From "Celecoxib Offers Pain Relief Comparable to Ketorolac After Robotic Hysterectomy"
Dexmedetomidine may offer some benefit for nerve block analgesia, researchers say, but at the risk of intraoperative hypotension and bradycardia. The finding, reported in the European Journal of Anaesthesiology, is based on a systematic review of 46 trials with an aggregate 3,149 participants. The evidence showed that dexmedetomidine used in tandem with local anesthetics prolonged the block by nearly five hours compared with local anesthetics only. However, patients who received dexmedetomidine presented an elevated risk for intraoperative bradycardia and hypotension. "As the perineural injection of DEX is currently off-label in peripheral regional anaesthesia, there is a need for trials focusing on adverse events following perineural DEX to better define patients at a high risk of intraoperative bradycardia or hypotension," the researchers wrote. From "Dexmedetomidine May Prolong Analgesia Duration in Nerve Blocks"
Abstract news © copyright 2018 Information, Inc.
Anesthesia E-ssential is an executive summary of noteworthy articles of interest to nurse anesthetists. It is distributed weekly to AANA members. If you are interested in advertising in Anesthesia E-ssential contact HealthCom Media at 215-489-7000.